You probably think about going out the Incheon Airport when you have to wait for a rather long time for your next flight. However, you are afraid that you may miss your flights. No need to worry. Here is a guide of what you should do while in Incheon, complete with the time allocations. If you have to wait no more than 3 hours, you’d better stay inside. After all, the airport has always been included in the world’s best airports because of their facilities. You can enjoy the spa, the shower rooms, the cinema, ice skate rink, the restaurants, and the free internet. However, if you have more than 5 hours, then you can consider going outside. If you have more than 6 or 7 hours, you’d better visit Chinatown and Wolmido. Simply use the subway heading to Incheon Station. Get off there and walk out. 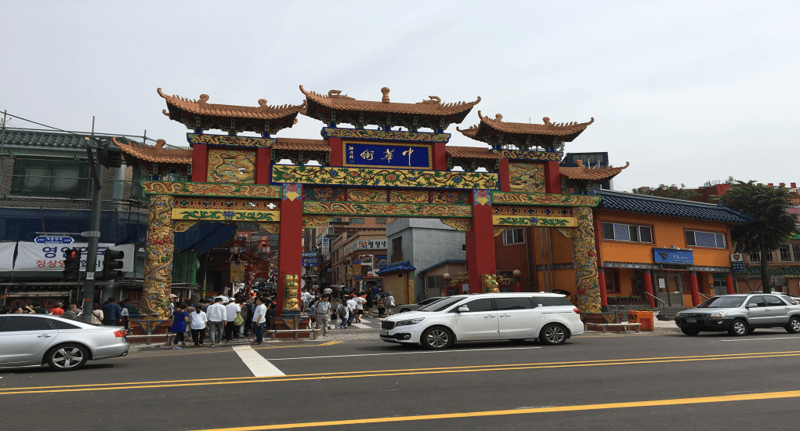 Right across the street, you will face the gates of Chinatown in Incheon. Even without the gates, you can tell that it is the Chinatown. The paved streets are filled with vendors and also red lanterns. The fresh smell of mooncakes lingers in the air. Even the gates are beautiful – perfect for your photo background or selfie background. Want to try some local dish? Try jjajangmyeon, a Korean-Chinese noodle with black and thick bean sauce. This dish is very popular – you should try it. If you are interested in learning more about it, there is a museum dedicated to jjajangmyeon. Explore the Samgukji Mural Street while having your bubble tea and something to bite. This 150 meters street has colourful murals that depict ancient Chinese stories and fables. From Chinatown, you should go back to the station and take a bus to Wolmido. Wolmido is a former island connected once to the mainland back then in 1989. You can go to Seoulites were you can enjoy the small amusement park, various seafood cafes and restaurants, and also a nice view of the sea (along with the fresh sea breeze). You will sense a carnival atmosphere there, especially with the games, rides, and performance venues. Wolmi Park is a part of the island offers a more relaxing setting. You will be pampered with the beautiful traditional Korean architecture as well as the peaceful walking trails. Be sure to calculate the times if you are going to the Chinatown and Wolmido. If you want to learn about Korean history and one of its buildings, go to Gyeongbok Palace. 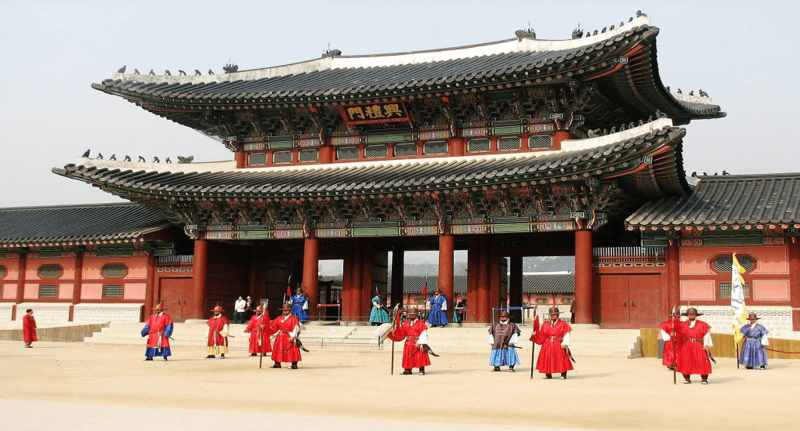 The palace was set up in 1395 and it is now one of the most popular tourist spots in Korea. The palace is beautiful, especially with Mount Bugaksan as the background. The ceremony changing of the guard is one of the interesting attractions you should see. Within the same place, you can explore the traditional Korean gardens as well as Korea’s National Palace Museum. You can see ancient artefacts, classic architectures, and much more. The area isn’t far from the National Folk Museum, US Embassy, and the Korean president’s Blue House. How do you reach the palace? If you use the bus, take the 6011 that costs from 10 won to 15 won. If you use the train, expect to spend around 5 won to 6.5 won. If you use a taxi, you will have to spend 63 won to 80 won. If you have to wait from 9 to 12 hours, consider visiting Jamsil with the subway. You can enjoy Lotte World with its Lotte World Tower, Amusement Park, and more. Hongdae is another alternative spot for the trendy and young people. You can find cafes and street entertainments. No need to worry that you will get bored while in Korea because you won’t. If you are planning your next vacation there, start from now! Arrange your itinerary and reserve everything, including your flights with Airpaz.